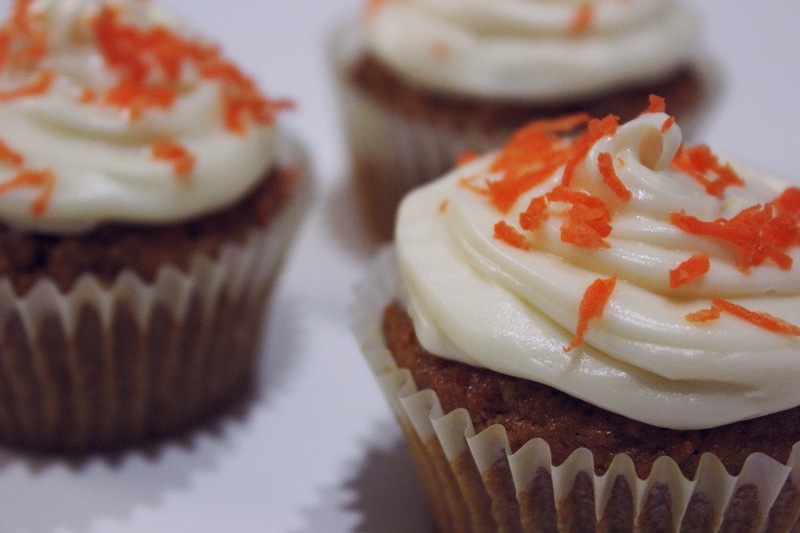 I've never been a huge fan of carrot cake for some reason. The kind I've tried has always been chock full of raisins - and super dry. 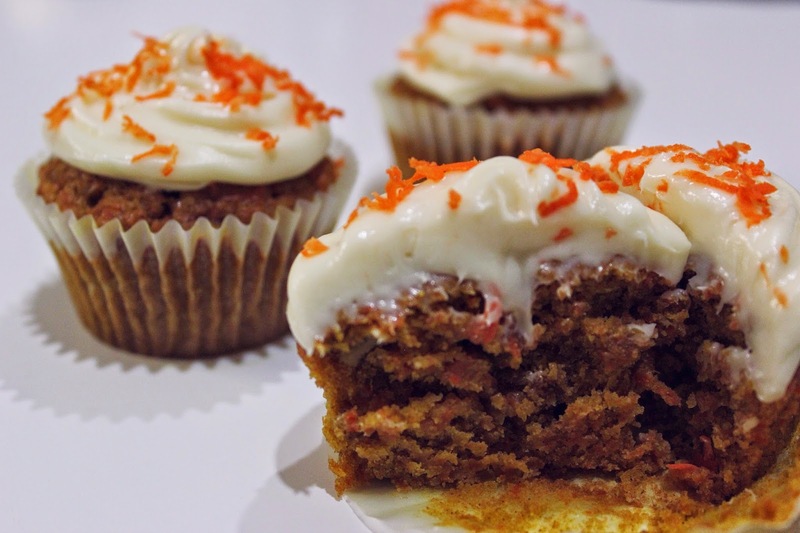 But after bumping into some scrumptious pictures on Pinterest, I decided to give carrot cake another go. And what better way to revamp this old classic than turning them into cupcakes?! 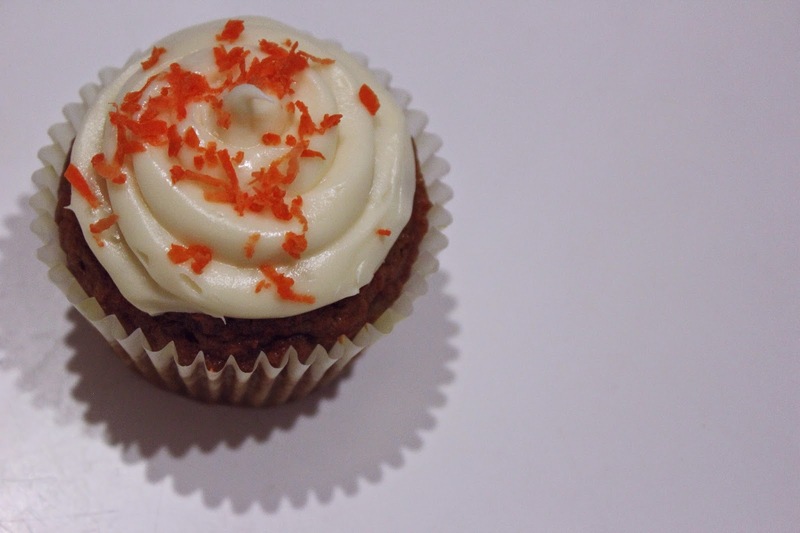 You just can't go wrong with a cupcake. You'll need two bowls - one for the wet ingredients, and one for the dry. 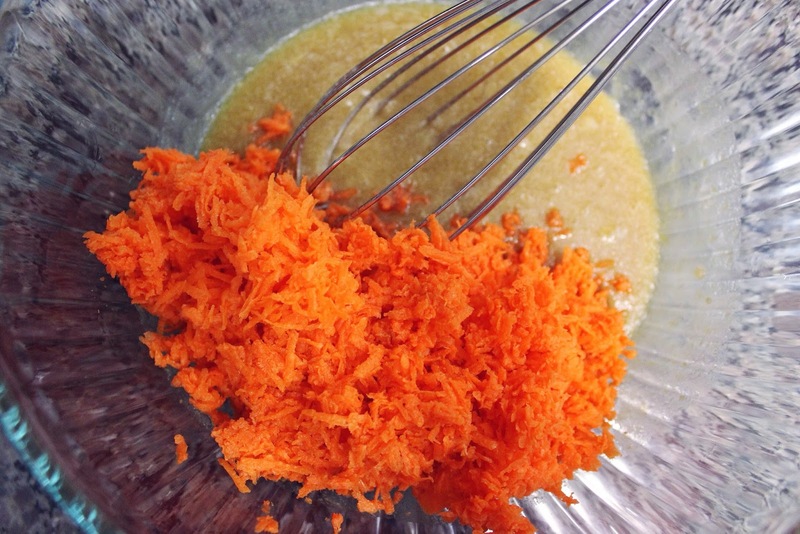 Make sure the bowl with the wet ingredients is larger, as you'll be adding all of the dry ingredients into it eventually. 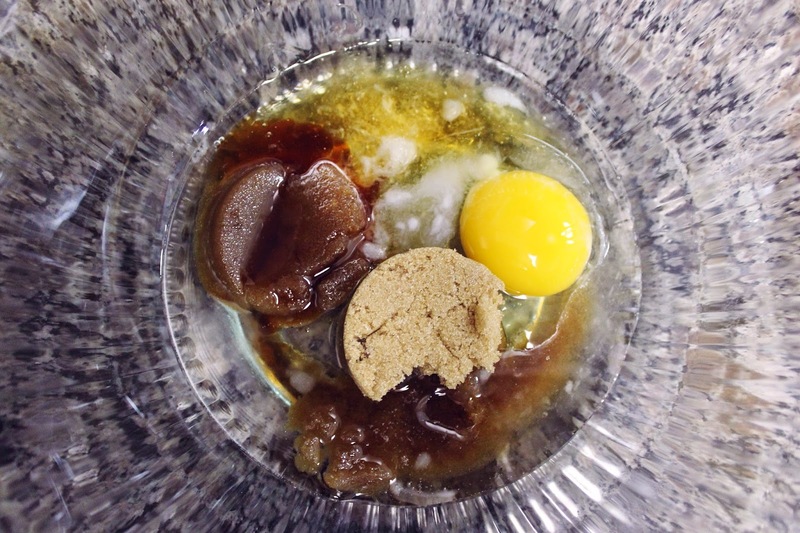 Combine 1/4 and 1/8 cups of brown sugar, one egg, 1/8 cup of honey, and 1/4 cup of melted coconut oil. Sorry for the convoluted measurements...I really adapted this recipe, including its size. My recipe yields half a dozen cupcakes. So if you'd like the whole dozen, double up the measurements (use 3/4 cups of brown sugar instead, etc...). 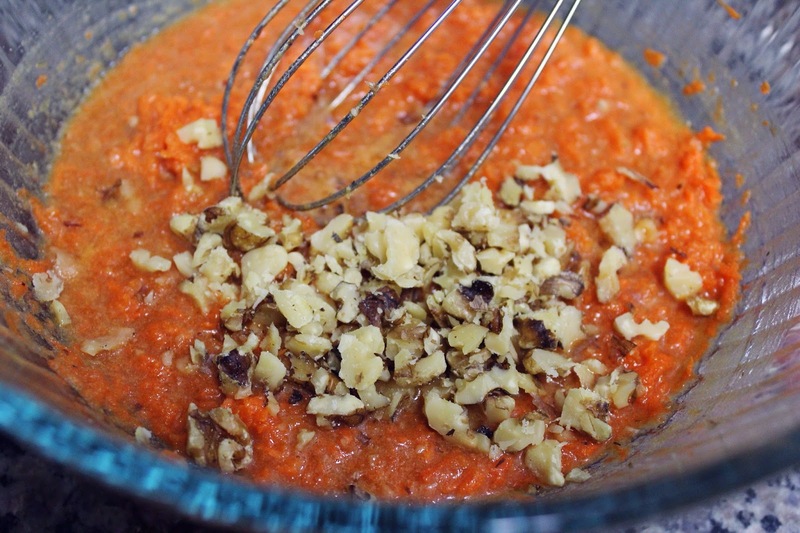 Add the 1 and 1/2 cups of carrots into your wet mixture, and give it a good stir. Once combined, add a handful of chopped walnuts (or pecans), and fold in. Now, time for the dry ingredients. 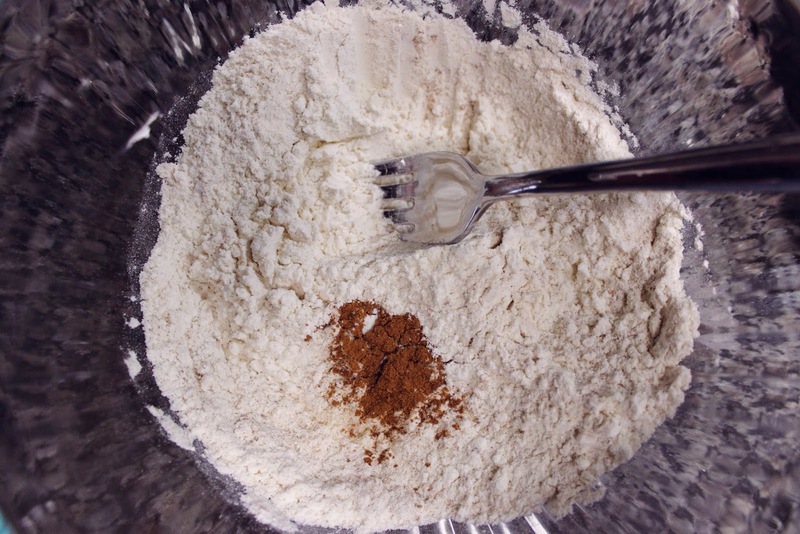 Combine 3/4 cups of all-purpose flour, 1/2 tsp of baking powder, 1/8 tsp of baking soda, and TONS of cinnamon. Ok, well not tons, but this cake is definitely all about the spice. So add as much as you'd like...be sure to taste the batter as you go! (I used about 3 tbsp, so definitely on the heavy side). 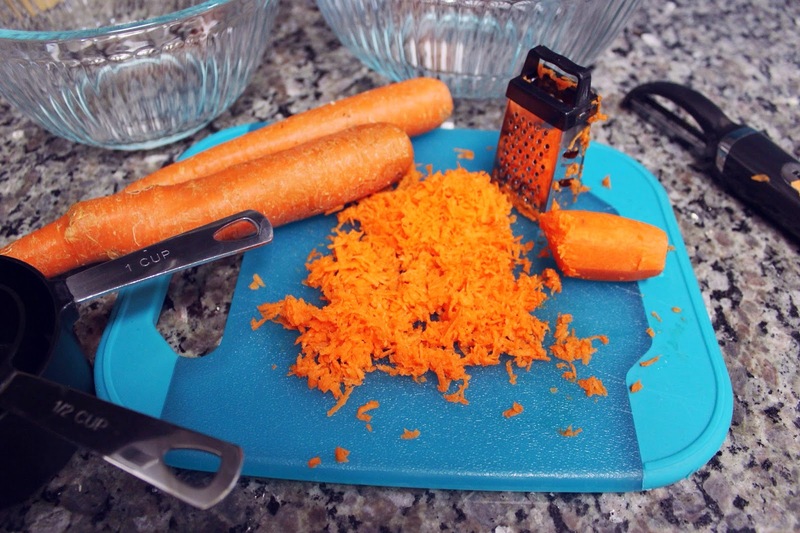 Once you have both the dry and wet ingredients mixed separately, it's time to combine the two. 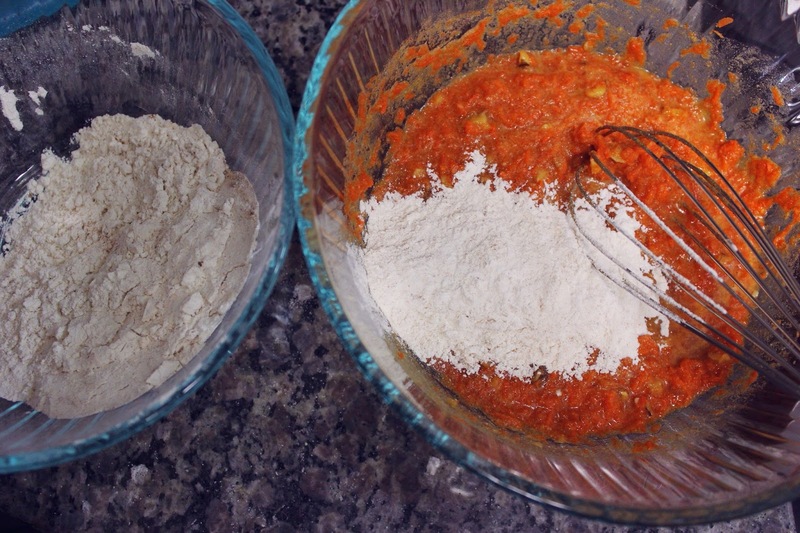 Slowly incorporate the dry into the wet, mixing in small amounts at a time. 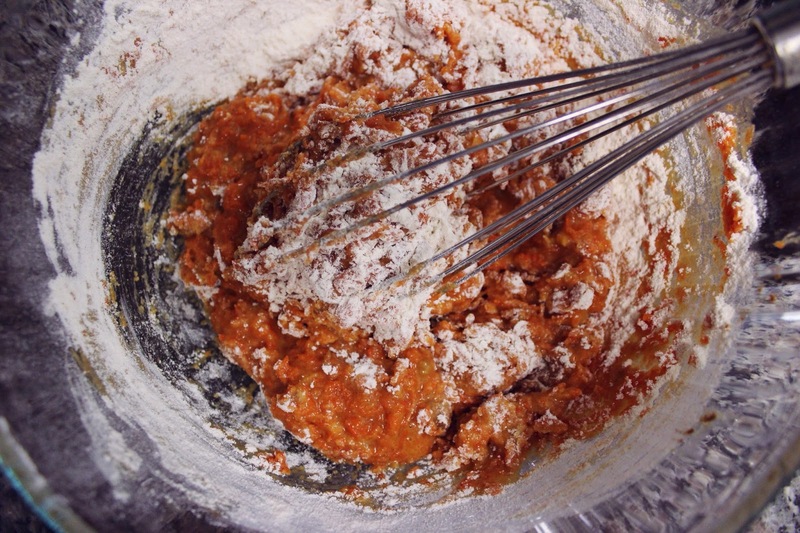 Continue adding the dry ingredients in slowly, until the mixture is completely combined. 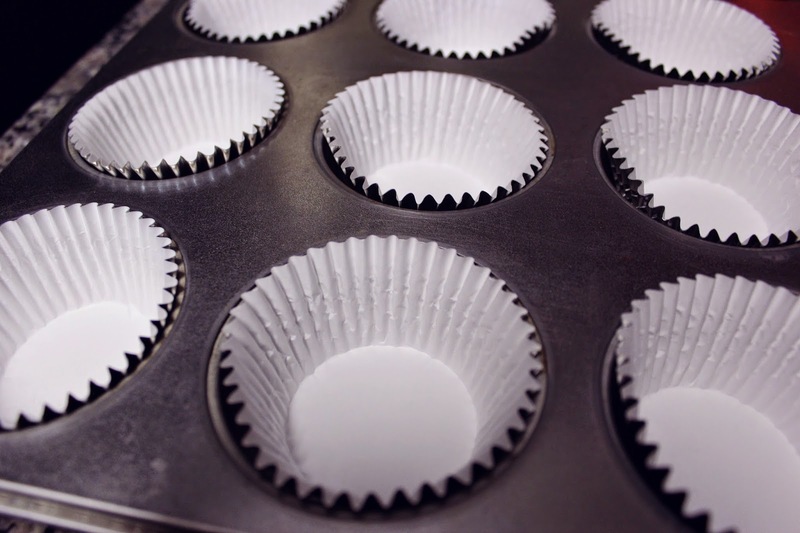 Next, fill your cupcake pan with liners. Fill the liners about 3/4 of the way full, until all of your batter is used up. Then, pop into a 350 degree oven for about 25 minutes. 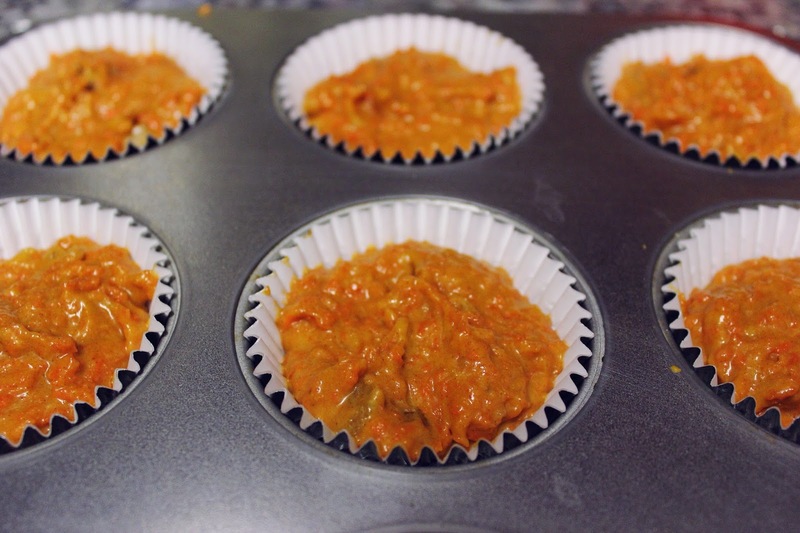 After time is up, check that the cupcakes are baked through with a toothpick (you may need to add another 5 minutes to cooking time depending on your oven). 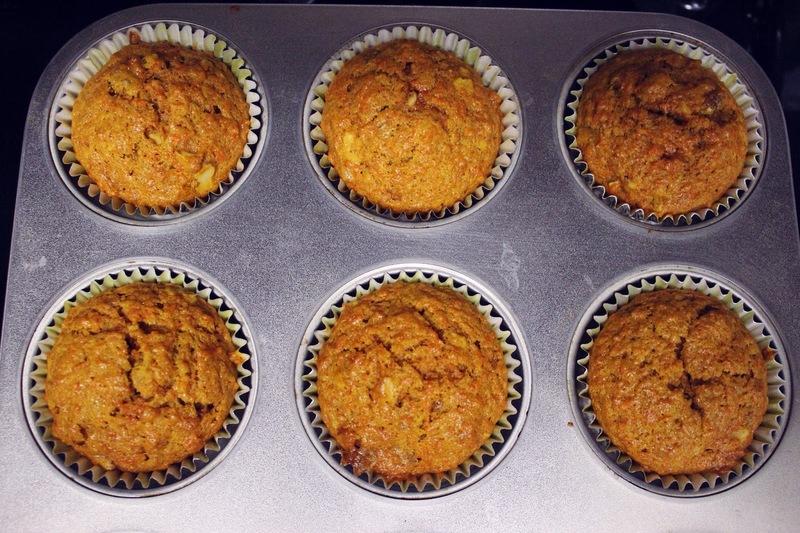 Once baked, let them cool before frosting. Yay, cupcakes! 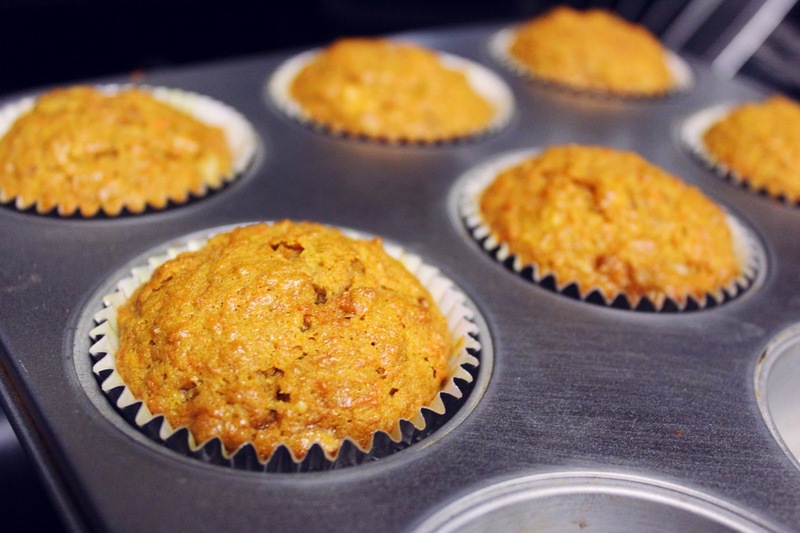 Without frosting, they could pass as muffins - and even be eaten for breakfast! Sadly, I used a store-bought frosting. But I did, however, mix in a teaspoon of vanilla to enhance the flavor. Feel free to make your own frosting if you have the time! There's nothing better than homemade. 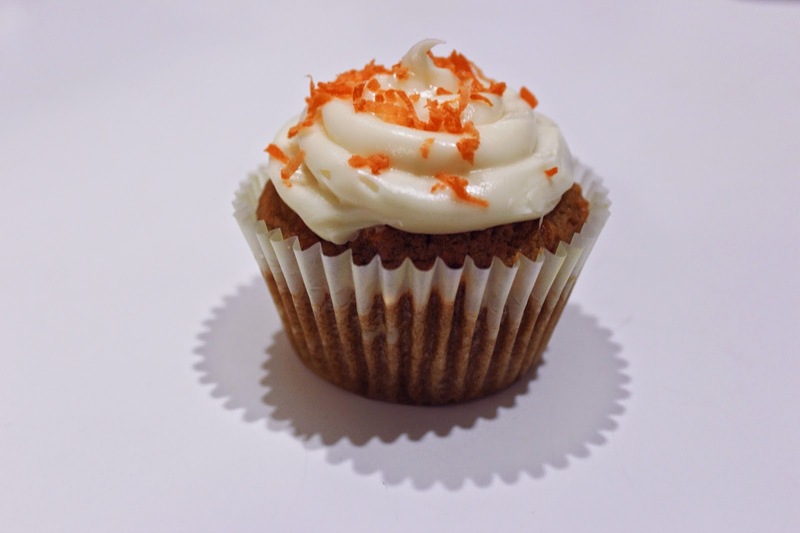 Yes, those sprinkles are carrot shavings. 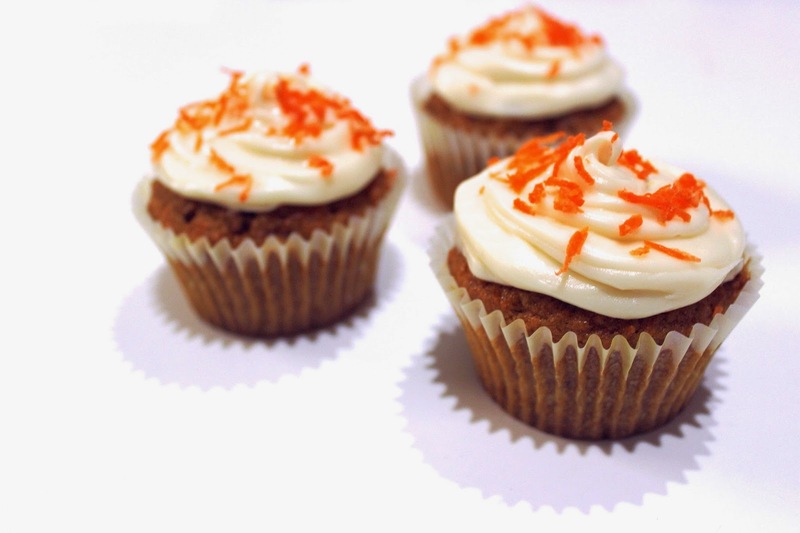 What better way to decorate carrot cake cupcakes?! Love the pictures! Everything looks amazing! Looking forward to seeing more recipes from you!